You meant ‘they are’ and no I am not ;) if only you cared to look at the link before sharing your views. Yep, bought one 10 days ago when the deal was posted. Very good value. No C&amp;C available at the time. Hot, as you mentioned delivery may kill the deal. Ridiculous charges for delivery, £39.99 is way too much. 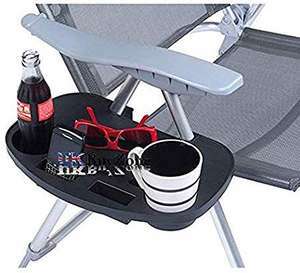 Really great if you in the garden and already have the lounger but no cup holder. 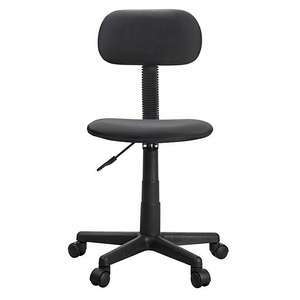 Work on most chairs that have this frame so not chair specific. TOFS (the original factory shop) sometimes have these in stock at either 3.99 or 4.99 but obviously stock (or time machine) dependant. They seem to fit most. Bloomin brilliant idea. No more having to put you drink down on the ground to then find it full of ants/flies when you next want a drink. Do these fit any chair or are they specifically for a certain make? That s curve looks very uncomfortable. In the same vein T May's Brexit 'deal' would be good with some minor modifications. Maybe with some modifications you could build this? Do not get a leather type? chair if you want it not to fall apart with bits falling away from it, buy cheap get pap. Much rather get a material one like the one on offer. is the B&amp;M not this link at £150 ? £99. Just been to look at it. The b&amp;m one is much larger and looks more comfortable. Thanks! Do you think it would fit in an insignia? &#x1F601; Was it the single or double? Never miss a 'Chair' deal again! I've got the white one, they are good quality for an occasional convenient utility or dining table, and the folding leaf is very convention and well made. Chair are fine and functional. Also the wood is so hard on your bum it will soon hurt. Amazon would take back products without the original packaging if faulty. The seat and back rest are meant to tilt together according to Amazon page, as previously posted i have tried all that so many times. Shame the chairs not it stock any longer, i probably won't use the tilt anyway as you can't lock the tilt position into place when it is pushed back, mine seems to be permanently locked in the upright position, so i will give up for now as i don't want to take it apart to examine it and have already binned all the packaging. The lever would only lock or unlock the backrest and I would assume would have writing on it telling you which is locked and which is unlocked position. Ensure lever is in unlocked position, sit on the chair and lean back, if too much resistance then try adjusting the knob underneath to slacken it off....else chair is faulty. Tried all that so many times, i guess its faulty or i am using the leaver wrong, but i don't see anything else i can do. I have already said the knob does not tilt it...it adjusts the tilt tension... Have you tried sitting on the chair, unlocking the lever and actually pushing your back against the chairs backrest? I think you may be surprised to discover the chair back then tilts backwards. Homebase in-store. Bought it today for £37.50. Online is still £60 which is more or less the price in the other shops. Worth checking your local store if they stock them. They have very similar ones in B&amp;M for £22. Gaming chairs aren’t too bad, but you’re much better off with an office chair + headset/headphones. Is the obesity and lobotomy haircut included? I've just moved into a new house and have this massive gap in the middle of my living room, this will be perfect thanks!!! 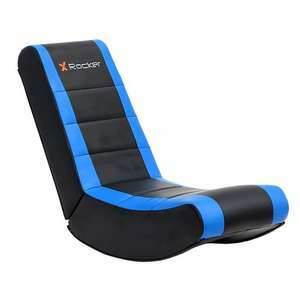 Ordered one of these for my son who managed to wreck his much more expensive office/computer desk chair within a year. He's paying. Ye, its shocking! I've bought the GTplayer and so far it's been great very like the Omega chairs. No staples around the leather all stitched and has a zip to adjust padding and finally a full metal frame! 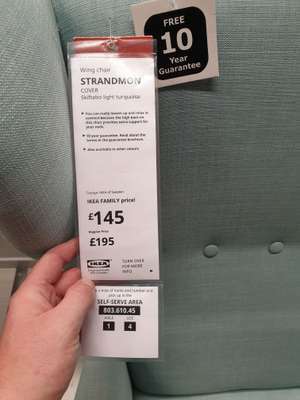 You need to spend 2, 3 or 4 times that price for a decent chair unless you don't give two hoots about your spine/back! I share the same problems! Why has the quality of chairs declined so rapidly? I've been searching for a good quality chair for 4 months and it's been very challenging. I'm dubious about buying a chair like this without trying it first. I also have the exact same chair at home. Arm rest material flakes away and the lever to prevent the chair from reclining keeps failing. There are also round plastic tabs that cover the bolts that keep falling out aswel. Hope this helps those who are interested. don't be daft, nearly all racing chairs are churned out of the same factories and just slightly changed for the buyer just like the majority of AIO coolers are made by Asetek and just rebranded. Cheap tat. because people don't want to buy a very used chair that has probably seen unspeakable things for an arguably high price of over £150. You can buy an ikea marcus for less in brand new condition which would probably be better. Maybe because the price is now showing £242. Shaking hands with the one eyed milkman ..